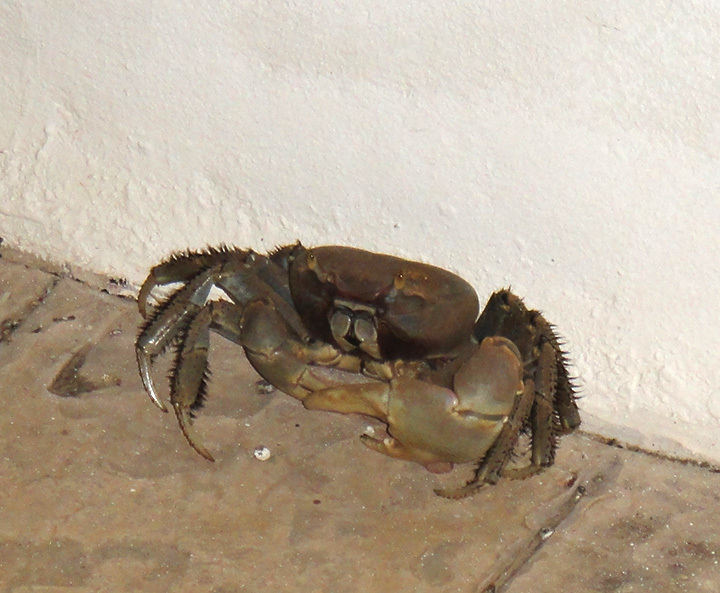 This fiddler crab showed up next to my shack in Aruba. Fiddler crab as seen in Aruba. Kind of crazy looking creature, with that one giant claw and the smaller other one. Good size this one was. No doubt he finds plenty to eat in the environs close to the sea here in Savaneta. Biggest danger to him are cars passing on the road.